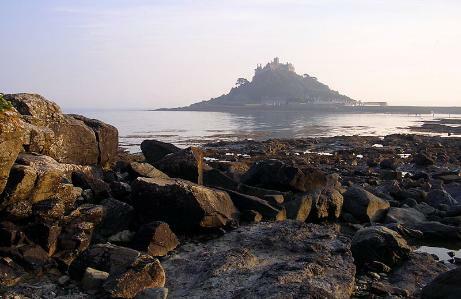 Penzance is located in beautiful Mount's Bay - overlooking the stunning island of St. Michael's Mount. Penzance is Cornwall's most westerly borough - just 10 miles from Land's End. towering cliffs, secret coves, sandy beaches, mystical moors, and ancient tors. In days gone by this was a land of smugglers and pirates. Today it is a paradise for surfers, for family adventures, for romantic getaways, and for simply relaxing. Penzance town is filled with historic buildings, including several excellent pubs. Treat yourself to a pint and soak up the atmosphere! You can feel the history of smuggling and piracy here! Mounts Bay is considered by many to be the most beautiful bay in Cornwall. Newlyn, just to the west of Penzance, is a fascinating village. The fishing fleet here is the biggest in southern Britain, and it makes a vital contribution to the economy. Sit by the harbour and watch the fishing boats unloading their catch - fascinating stuff! Enjoy the Penzance area Beaches. Visit the art-galleries in Newlyn Village. Watch the fishing boat activity in Newlyn Harbour. Eat, drink and be merry in a choice of excellent Penzance Pubs. Take a trip to Land's End. Watch a play at the fabulous Minack Open-Air Theatre. Stroll along Chapel Street and enjoy the historic buildings.